It is easy to bypass products that don’t have chic packaging or fancy Flash websites. Nevertheless, there is something to be said about companies that invest those dollars into creating a quality, simple product. Such is the case with Florida-based Tend Skin who invented Tend Skin Liquid (4oz, $20). 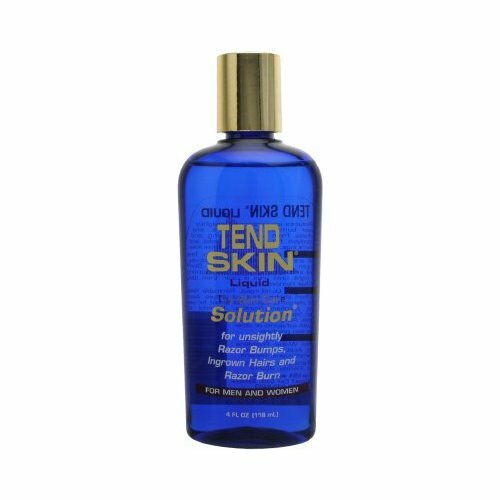 This unisex treatment is used for anything related to hair removal such as shaving, waxing, or epilation. I tried it as a post-shave treatment and it fulfilled all its claims. By the third or fourth shave, I noticed hair growing in a more “shave-able” pattern, thus making subsequent shaves smoother. It also improved the appearance of any facial blemishes. I’ve used multiple shave products from creams to liquids to lotions. Tend Skin Liquid accomplishes its goals without any bells or whistles. The price was a little high for an alcohol-based product, but the price is proportionate to its efficacy. Tend Skin may not offer the glamour of name brands, but it delivers consistent and desirable results for both men and women.